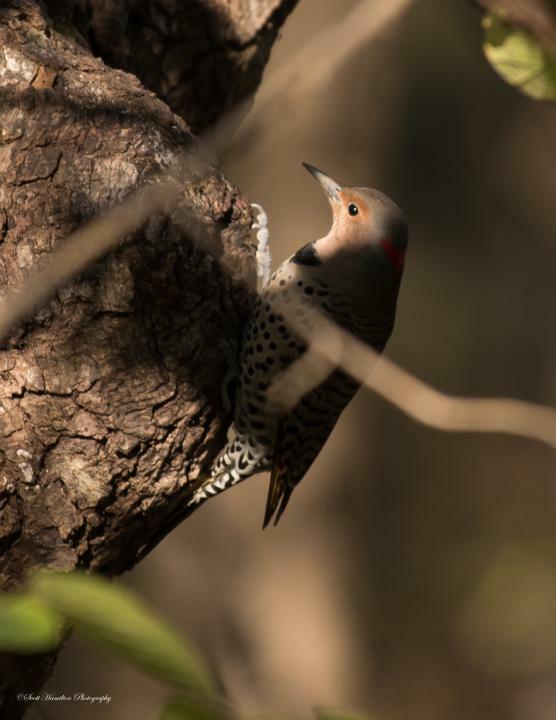 While I was in a tree stand taking photos of deer during the hunting season in Missouri this Northern Flicker landed on this big knot on a tree and started digging for food. I couldn't wait to get the shot due to the perfect lighting that lit its face with shadows all around. Nikon D750 with a Nikkor 200-500mm lens was used to capture the photo. The camera was hand held, spot metering was used, shutter speed was 1/500 sec., lens was wide open at f/5.6 and ISO was 250.